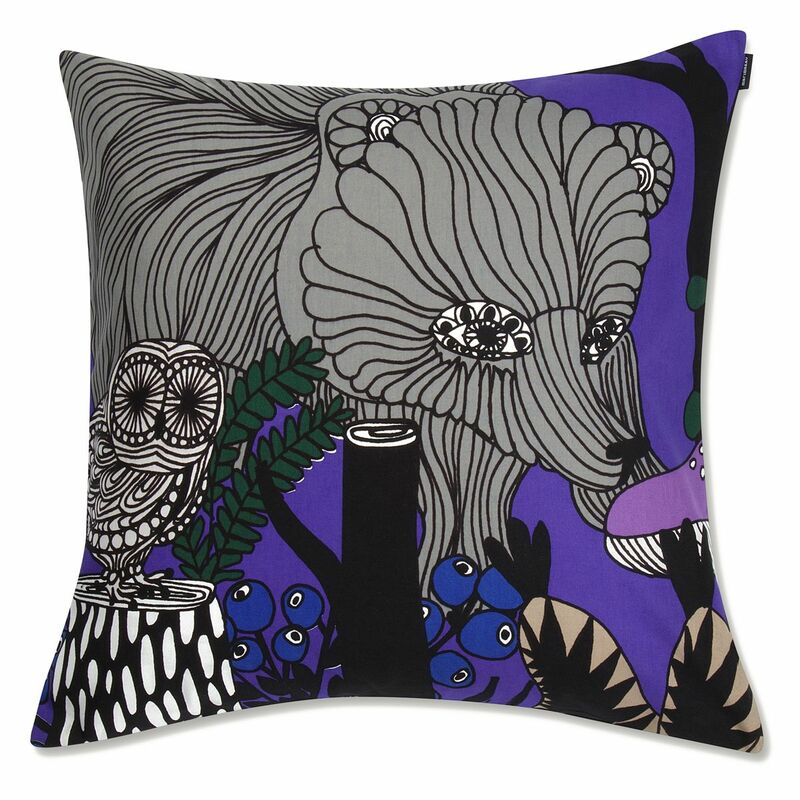 More about Marimekko Veljekset Violet Large Throw Pillow Maija Louekari's 2017 Veljekset pattern celebrated Finland's 100th anniversary of independence and has been brought back this year in striking shades of violet. 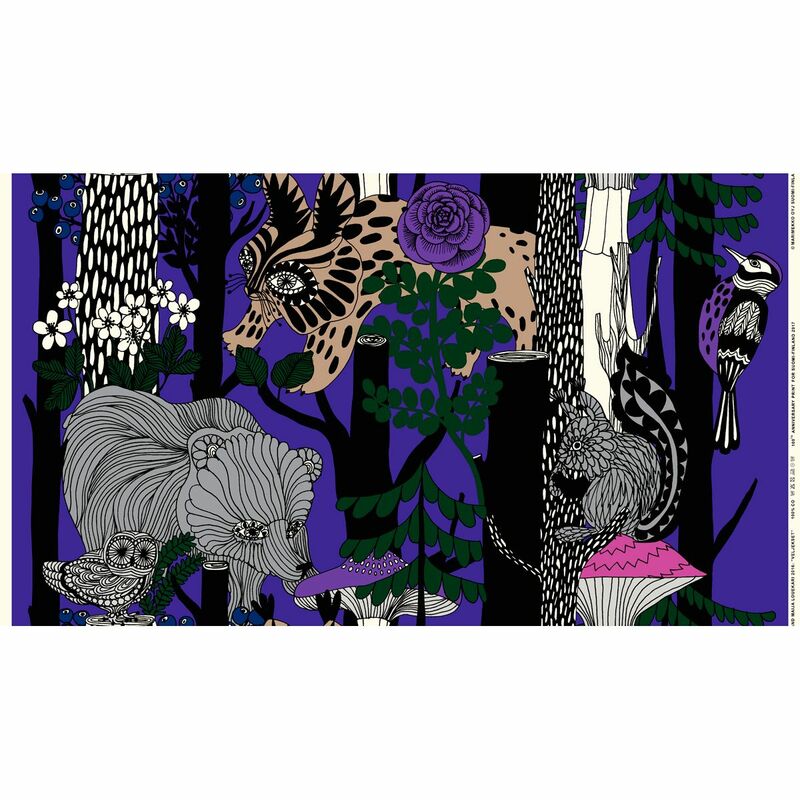 Inspired by Finnish folk tales, it artfully depicts the wildlife that inhabits the northern country. It is featured on a 100% cotton cushion cover, which is easily removed from an insert via a discreet side zipper to throw in the wash. Please note: Cushion covers are cut directly from Marimekko fabric at random. 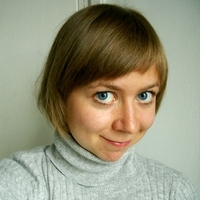 The secondary image shows the Marimekko Veljekset fabric repeat. The pillow will show only a small section of this design, making each one unique. 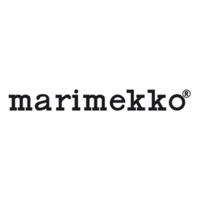 All marimekko patterns are unique and visitors to my home always ask where I got them from. Love this marimekko pattern and style. Looks great on my comfy chair!